AUSTIN, Texas -- Wikibuy, a shopping assistant, powered by the crowd of more than 1.5 million users, is pleased to share that the company was selected as one of Built In Austin’s Top 50 Startups to Watch. An easy-to-use browser extension, Wikibuy helps users make better buying decisions by automatically performing comparison research, testing coupon codes and notifying shoppers of price drops, allowing you to shop smarter with the power of the crowd behind you. Wikibuy also announced 11 new partners joining more than 500 partners that benefit from Wikibuy driving new customers and incremental orders. These accomplishments jumpstart a strong 2018, following a successful 2017 holiday season in which Wikibuy shoppers found more than 7 million better prices on searched items and saved more than 70 million dollars. 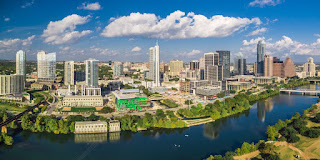 Wikibuy is built with love in Austin, Texas. Kindly referred to as the Waze for shopping, it allows shoppers to shop normally with the power of the crowd behind you. For more information on Wikibuy’s mission and offering, please visit www.wikibuy.com. Wikibuy is an online shopping assistant powered by the crowd. The Google Chrome extension automatically performs price comparison research, tests coupon codes and notifies you of price drops to ensure users get the best price every time you shop. Wikibuy searches across more than 500 online retailers with the option to purchase directly through the site with a money back guarantee using secure payment partners, such as PayPal, and rewards shoppers with credit to shop at their favorite stores. Learn more at https://wikibuy.com/about. Built In Austin is an online community for Built In Austin startups and tech companies offering a job board for tech talent, exclusive content on local startups, monthly events and data on the Austin tech sector. Learn more at: http://www.builtinaustin.com/.